I knew Rachel since we were both in the Floyd County Youth Symphony, so basically since High School. While she and my brother Joe knew each other better (I believe they were in the same class) one of the unique aspects of classical music organizations in educational institutions is that folks are always interacting at very different age groups. In my post about new new music groups in Louisville I neglected to mention the Thompson Street Opera Company, about which I knew little. Fortunately, one of my colleagues in Eight.dB, Claire DiVizio, is actually the founder and executive producer of the company. 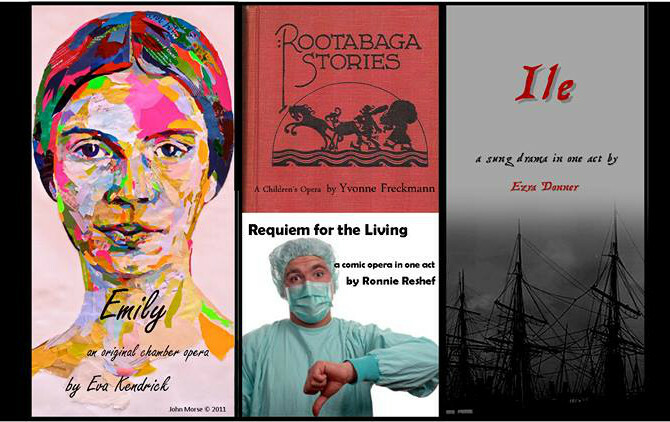 dedicated to producing works for the stage by emerging composers. Their inaugural production, the World Premiere of Ezra Donner’s “Antigone,” was a great success, and the Company continues to plan for future projects. And if you’d like to contribute or donate, they company has started a kickstarter to fund this summer’s season! 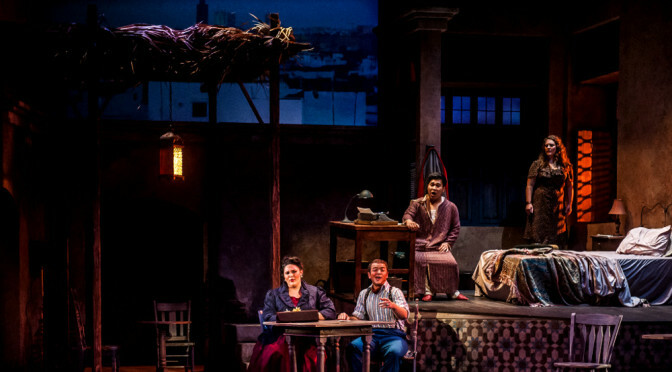 Next season of the Kentucky Opera will feature Daron Hagen‘s “A Woman in Morocco” in October. I posted a few news snippets about the piece at the NuMuLu site last December, so for more info about the piece please go there. il Troubadore performing “wa’ SaD ram wa’ ram je” at Trek Trax 2012 in Atlanta, Georgia. Interestingly, I hadn’t thought about the fact that I’ve been involved in the premiere of an Opera in Louisville. And it happened to be one I’d written. 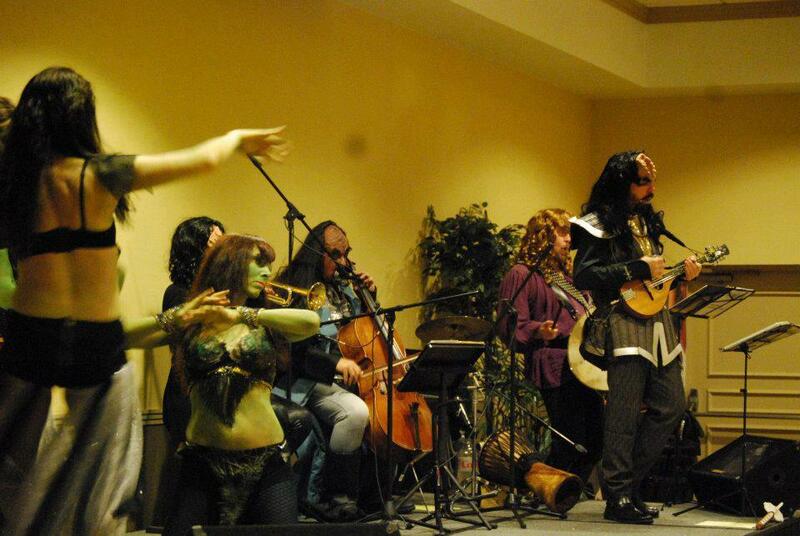 The il Troubadore Klingon Music Project is a side gig for my world music group, il Troubadore, and we premiered an excerpt of my Klingon Opera-Ballet, “wa’ SaD ram wa’ ram je” at the ConGlomeration Science Fiction and Fantasy Convention back in April of 2011. Eight.dB before reading Nate Tucker’s “Choose Your Own Adventure” score. As I mentioned in my previous post, at least five groups have been formed in the past couple of years which focus significantly or exclusively on new music in the Louisville area. This is not to say that this exhausts the list of new and experimental groups in the area. For a mosre complete (but by no means exhaustive) list, please check out the ensembles and composers pages at the NuMuLu website. Now to the recently formed groups (and again–full disclosure: I’m involved with three of these group). 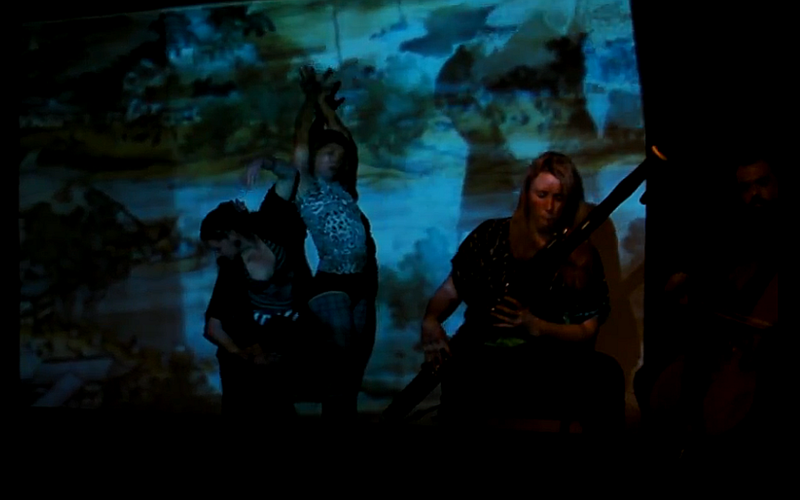 Camera Lucida with dancers, Cherie Dawn and Holly Price, and special guest bassoonist, Jackie Royce, at Classical Revolution Cincinnati. January 12, 2014. We also collaborate with local and touring musicians, dancers, like the Moving Collective, T.J. Borden, and my other new music group, the Mothership Ensemble. The Mothership Ensemble performing Louis Andriessen’s “Worker’s Union” at IU Southeast’s Steifler Recital Hall on March 15, 2014. Interactive video projections by Roxell Karr. I’d been having conversations with a number of local composers about starting a new music ensemble. Since a number of musicians at IUS and I have been performing works by composer, Rachel Short, it made sense to just give ourselves a name and start expanding. The name was something of a fluke, and accident–which adds to the charm, so we were dubbed the Mothership at our first official outing as an actual new music group rather than just an arbitrary collection of musicians performing new works. The Mothership Ensemble functions something like a “community orchestra” in that we have players of a wide variety of skill levels and in various stages of their career as musicians. Music students from UofL School of Music, IUS, members of the IUS Orchestra and other local, non-affiliated, musicians and amateur musicians get together to rehearse two times a week (once on the Indiana side and once on the Louisville side) and only ever fully play with each other as we do a show. We focus on large scale contemporary works with open instrumentation and smaller chamber works often written by local composers including me and co-founder, Rachel Short. We’re pleased to have composer, Jacob Gotlib, as an artistic adviser. I suppose we’ll have to call him Dr. Gotlib soon as he has just finished his dissertation in composition at SUNY. The group numbers close to 20 musicians but the most we’ve had for any one performance is 12, I believe. The Mothership ensemble isn’t the only large chamber group doing new music in the area. Members of Orchestra Enigmatic warming up on the Shostakovich 8th String Quartet before the evening concert at St. Francis in the Fields. January 25, 2013. 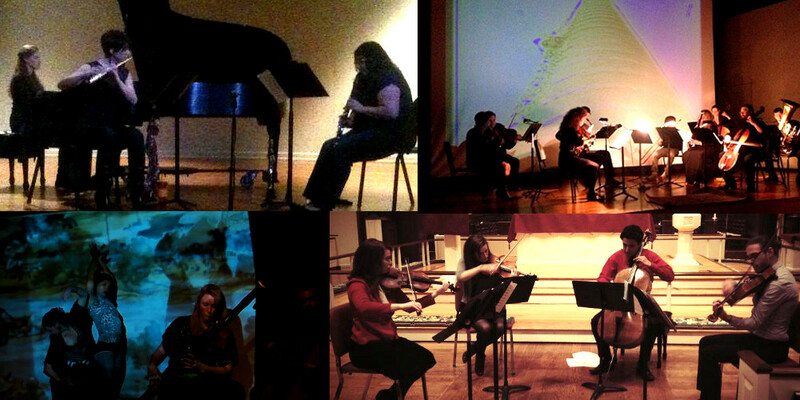 A new chamber orchestra in Louisville Ky, we seek to play good music, be it new or old. We’ll play Reich, we’ll play Tenney, and we’ll play them in the context of Beethoven, Bach, and Brahms. The concert included Beethoven’s 2nd Symphony and another world premiere by P. Kellach Waddle’s “At the Snowy Bourbon Winter’s Twilight, Impression-Satz fur Kammersinphonie,” also a world premiere. Contemporary music ensemble bridging the gap between traditional and new music with unique musical experiences. 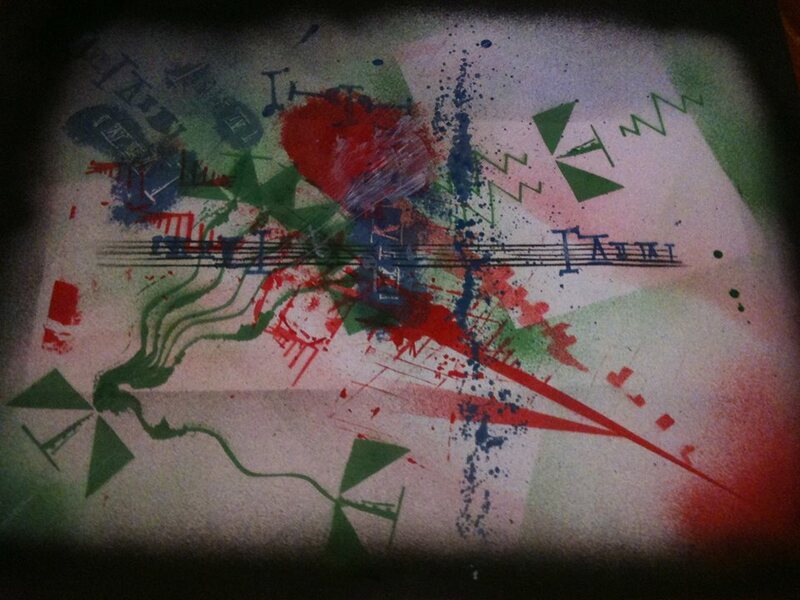 Nate Tucker’s “Choose Your Own Adventure” graphic score which will be premiered on Eight.dB’s first show. This is the other new new music group I’m involved with and we’ll be focusing a lot on group improvisation, graphic scores and non-traditional notations, and electro-acoustic performance–all pretty standard new music techniques. I’m currently working on a graphic score which will be projected and manipulated in real-time (I’ll probably blog about this in the near future) which the group will perform at our first show. And that rounds out the new new music groups in the area, and shows a wide variety of performance styles, instrumentation, and size. Given that the Louisville Orchestra will also be featuring a number of contemporary pieces and world premieres during their next concert season, the Louisville area is just brimming full of new music awesomeness. Add in the already flourishing underground experimental scene and University related computer, and improvised new music activity it shouldn’t be a surprise that one can easily find a show with new music to attend nearly every day of this month, and with luck the future! Southern Baptist Theological Seminary. Photo of orchestra at Mullins Hall. As we approach the three year anniversary of the work stoppage of the Louisville Orchestra and as I’ve been doing a significant amount of research into the local Greater Louisville Music and Arts scene I’ve realized how interesting the past three years have been. I’ve constructed a short (and by no means complete) timeline of significant events within the that three plus year period starting with the Louisville Orchestra’s attempt to file for Chapter 11 Bankruptcy Protection in December of ’10. Notice how many changes happened during the period Louisville was without it’s premiere Orchestral Institution. By the end of the year of the work stoppage of the LO in May 31, two local community orchestras also underwent significant changes. The Jewish Community Center Orchestra and the Southern Baptist Theological Seminary Orchestra both “dissolved” in 2011. 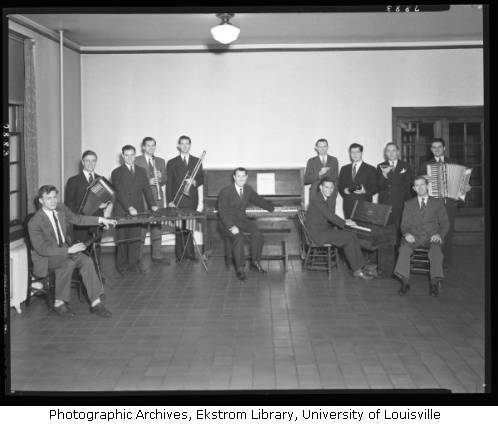 Within three months, the JCC Orchestra reformed as the Louisville Civic Orchestra under the auspices of Bellarmine University and by early 2012 the Southern Baptist Theological Seminary reformed as a musician run organization, the Louisville Philharmonia (otherwise known as “The Musician’s Orchestra”). I’ve heard various stories as to why the Jewish Community Center and the Southern Baptist Theological Seminary revoked their sponsorship of their orchestras, but I haven’t confirmed anything (more due to lack of time than anything else) so won’t speculate. The link for the Seminary Orchestra is to a member of the group and her blog about the change. Also in 2011, the Louisville Bach Society, after 47 years closes its doors. This has only become more bittersweet as founder, Melvin Dickinson, passed away earlier this year. While I can’t say if the formation of the Louisville Chamber Choir had any direct relation to the dissolution of the Bach Society – especially given the span of time between the two organizations – the LCC was apparently making some appearances for some time before finally having their debut in February of 2013. I’ve included the new music groups as it is interesting to have five form within such a short span of time. Well, to be fair (and full disclosure), I’m involved with three of them having founded two myself. But more on these in a later post. 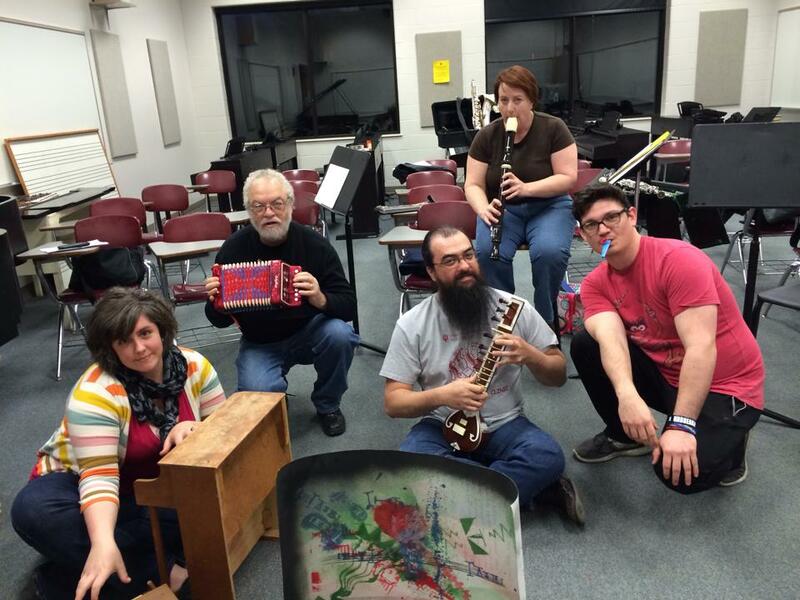 As you can see, the Louisville Orchestra finally returned to the stage in 2012, and by that time the other two orchestras have settled back into some sense of normalcy (the Louisville Civic Orchestra eventually became the official university orchestra of Bellarmine University). Also note that after the dissolution of those two community orchestras, the Kentucky Opera, which normally uses Louisville Orchestra personnel ended up hiring a number of players from those groups as a “substitute” orchestra for their Merry Widow production in February of 2012. It was a whirl wind of changes during those two to three years, and I’m not quite sure what to make of it given how much of it overlapped. See, the thing is, the JCC Orchestra had practically been in existence since 1915-16 (depending on whom you ask) as the Young Hebrew Mens Association Orchestra (which initially fed into the Louisville Orchestra at its inception in 1937). It was later renamed the Jewish Community Center Orchestra when the JCC was built in the late 60s. While I’m not sure how long the Seminary Orchestra had been in existence, most of what I found says at least the 80s though this image implies it existed in some form as far back as 1932. That two orchestral organizations with such a lengthy history folded at roughly the same time as the LO was undergoing difficult labor relations and a work stoppage is…curious. That the Louisville Bach Society, which also often hired LO musicians for their orchestra, also folded during this time is probably coincidental. But all four organizations within a six month period? That’s just bizarre!